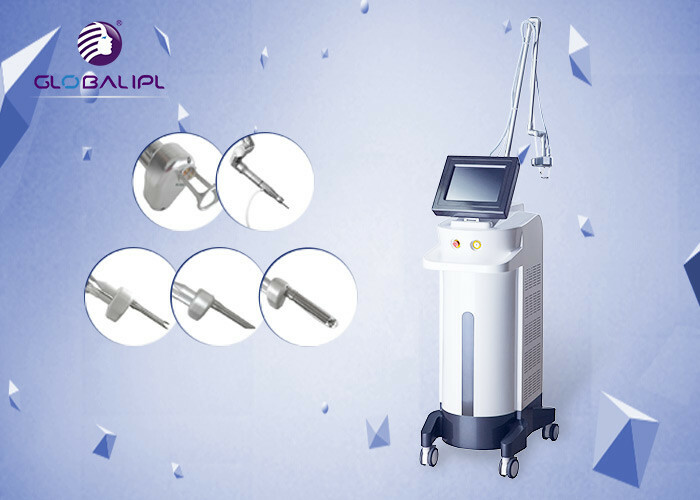 Globalipl Co2 Fractional laser machine is a simple, fast, efficient and comfortable in office procedure forimproved vaginal health. It has three handpiece Fractional&ultraPulse and vaginal tighting . The Co2 laser addresses vaginal health related conditions by promoting the remodeling of the vaginal mucous epithelium layer. The Fractional CO2 laser is applied along the vaginal wall which results in very gentle controlled ablation and coagulation of the vaginal tighting . Beam Delivery system 7-joint arm. Vaginal co2 lasers are a new gynecology solution for treatment of vaginal health related conditions. Vaginal health related conditions such as vaginal atrophy and urinary incontinence are concerning a large population of post-menopausal women and women after child birth. 7. The lasting benefits of skin resurfacing can be an improved quality of life and deeply enhanced self esteem.